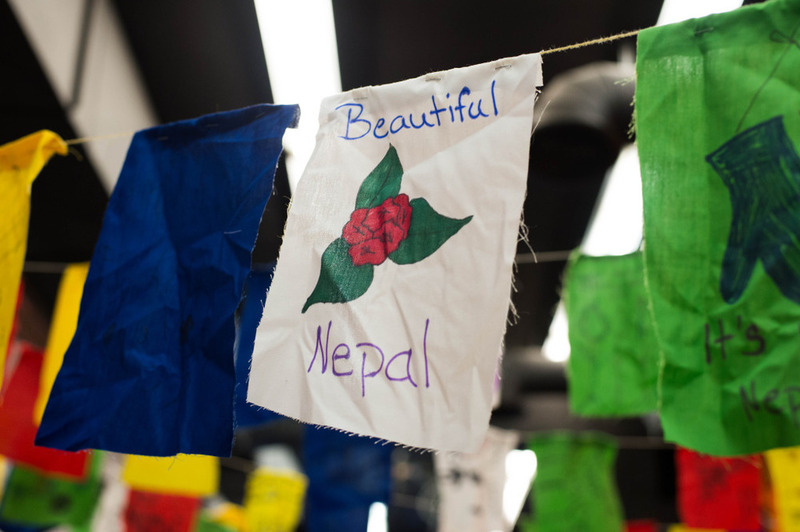 To say that our Fight for Nepal Campaign and June 20th Fundraiser were a huge success is an understatement. We are blown away and humbled by the incredible generosity and support of the Pentagon MMA and DC metro community. We started out with a goal of raising $15,000, which we thought was an incredibly optimistic number. But as of this writing, we have raised $30,785.59 for Project Hope, more than doubling our goal! On behalf of the Pentagon MMA staff, we sincerely thank each and every one of you who has participated in this effort in some way. There is no better display of community teamwork and unity. Gracie and Blaise fought their hearts out and showcased the Warrior spirit we work so hard to build in our Warrior Kids. We are incredibly proud of the skill, sportsmanship, and determination they displayed during their matches! Our Young Warrior Aaron Thapa and our very own Coach Nick together raised almost $6,000 through Kick-A-Thon pledges! We are so grateful to them and all the other Kick-A-Thon participants (many of whom came very close to raising $2,000 each) for their inspirational display of energy, determination, and enthusiasm for the cause. A very special acknowledgement goes out to Lisa Wilcox, who couldn't kick due to injuries but came through with 6,220 punches and raised $1,844!! Lisa, you are truly an inspiration to us all! Please take a minute to check out photos of the event on our event page (http://www.fightfornepal.com/update/) and/or Facebook page (https://www.facebook.com/media/set/?set=a.658423557622157.1073741866.142785972519254&type=3), and feel free to tag yourselves. Please also post your own photos of the event on our Facebook page or Instagram at #FightforNepal. Once again, we are endlessly grateful to you for your participation in this cause that is near and dear to our hearts. We could't have accomplished this incredible success without you! BJJ Professor Isaac July, Jr. Gets Promoted To Black Belt!